Polytex presents a new range of emergency covers for round bales on farms or ginning sites. 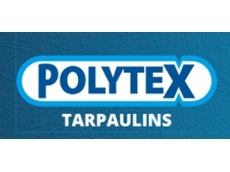 Polytex’s new round bale covers have been developed based on feedback from cotton growers and cotton gin managers who experience problems in handling round bales when the initial film cover wears off during handling in the field or the gin. The round bale covers are suitable for all cotton growers and cotton ginning companies who are producing and processing round bales. When the initial film cover gives way, it is very difficult for the grower in the field to hand feed the loose cotton back through the picker. 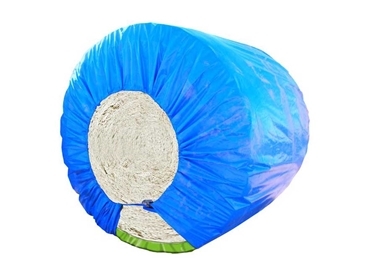 The Polytex emergency Ratch-e-tarp for round bales is used by the grower only when there is a problem with the initial film cover. The round bale Ratch-e-tarp is placed over the bale before the split or damaged film can let go and is ratcheted up tight holding the cotton in place so that the bale can be transported to the gin without further problem. Farms using round bales are advised to have a few emergency covers on hand for emergencies. Similarly, round bale film can get damaged at the gin site, creating a major problem in the handling of the bales. Bale covers for the gin site are available to suit single bales or four in a row, which are needed to manage splits in a bale within a row. The emergency cover not only retains the shape of a split cover but also protects the cotton in the event of rain. Round bale Ratch-e-tarp also utilises webbing and ratchets to tightly tension the cover in place.